Help a child start the school year off right! 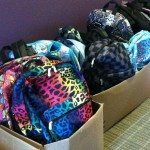 Join our annual summer backpack drive and send a backpack filled with school supplies to a child in need. Learn more.